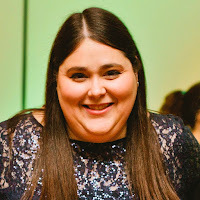 Danielle is another connection I've found via Twitter as we discuss my favorite issues on work-life balance and the true lack thereof. But somehow, she makes a thriving law practice work while also being a mother of three, and blogging about it too (and the links below are articles I'd already read too - like minds!). Here's how Danielle is having it all. I am a full time mom and a full time lawyer with a busy little law firm I started a few years back and situated conveniently right in the family home I share with my husband, our three daughters (ages 3, 6, 8, and their little sister on the way), and a few pets. I think it’s having a law office in our home that makes our lives a little less common. After the birth of my first child I quickly realized that full time work outside the home in my nonprofit legal career wouldn’t have covered the cost of childcare for my newborn. It took me 4 years of soul-searching and floundering a bit, while working part time from home for former colleagues, to figure out how to fulfill both my career ambitions, be the type of mother I wanted to be, and figure out how to be able to afford to do both. There was a lot of risk involved but the reward is mostly very sweet. I am obsessed with organization in every area of my life, personal and professional. I’m certain it is the only thing that keeps me sane. 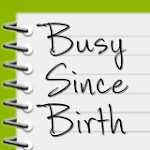 Like so many other modern busy moms of a few kids, I rely on technology, specifically syncing all the carefully-color-coded calendars with multiple reminders, to help keep track of all our schedules and appointments. I was very late to discovering yoga about a year ago (after about 15 years’ worth of friends telling me that I of all people really should at least try it). I have not been consistent with my practice the way I aspire to be, but when I do attend to my yoga practice I feel calmer, more at peace, more patient, more in touch with my own body and mind, and physically healthier. Yoga should absolutely be covered as preventative medicine! I also highly recommend chocolate and peanut butter to help power through some of the more grueling work projects, combined with coffee when energy is fading. How to choose just one moment!?! There has to be at least one of those per day! Image this scene for a little taste of a moment when it all broke down and what I did to ensure it wouldn’t happen again. It’s about 8:30 am on a weekday. I’m fully dressed for work in a suit, in preparation for a 9:30 am meeting with new clients, packing my three daughters’ lunchboxes, serving and cleaning up breakfast, and inquiring about homework in backpacks, etc. I tell the big girls to get their coats and shoes on and I head into my office, adjacent to our kitchen, to make sure the desk is cleared off and everything is ready for when I get back from dropping them all off at their three different schools. Shuffling papers around and setting up, I somehow missed the then five-year-old giving her then two-year-old sister a breakfast snack bar. The little one walked all around the kitchen, then into the hallway, into the entry office, bathroom, and finally my office leaving a trail of crumbs it would seem impossible for one little snack bar to make! So now I’m on my knees cleaning it all up off the floor, watching the clock, starting to panic about everyone being late to school and getting back late for my new client meeting. I’m mentally beating myself up for our chronic tardiness, starting to bark at the girls, and then spiraling into full mommy tantrum mode, circling back to more mental self-abuse. I get the little one’s coat and shoes on, get everyone strapped into booster and car seats, and as I’m driving them to school apologizing for my tantrum, whining about how hard this is and expressing doubts about whether I can do it anymore, clearly setting a fabulous example leading to a final piling on of mental self-abuse, before kissing them all goodbye and telling them to have a great day and I’d see them at pickup in a few hours. I make it back in the nick of time, manage to pull it together for a two hour meeting with a lovely couple who have three boys the exact same ages as my girls. After the meeting, I decided that for the sake of my sanity and in the best interests of my family and our clients, 10am would be the new earliest available appointment time. Balance? I’ll let you know when I achieve it outside the yoga studio. As for role models, ideally, I would combine the best of all my friends and family into one superwoman. I would borrow what I envy from all my differently-situated friends, using the falsely limiting yet lazily convenient labels we apply to describe their basic situations: the “full time stay-at-home moms,” “full time work-outside-the-home moms,” “career women” who do not (yet) have children, and the dads who are navigating these same waters their own ways. But myopically viewing the best of everyone’s situations without accepting the less than glamorous aspects and tradeoffs everyone makes is what gets us into trouble. Despite (or perhaps because of) my thoroughly ‘80s upbringing, since my first child was born in 2004 I’ve been disillusioned to learn that the mythical superwoman is just that, totally unrealistic. Trying to be her is not only an unattainable goal but also a really unhealthy starting point. I think the more we all tell it like it really is and pat each other, all of us, on the back for our own efforts and contributions, the happier we’d all be. This question actually makes me laugh. I’m pretty sure that back then I still maintained this (in retrospect) totally ridiculous, romanticized vision of myself as a super-stylish, well-rested, city-dwelling, very successful attorney-mama with a happy little baby on one hip (no spit-up anywhere on my clothes) and a briefcase in the other hand (that had inside plane tickets and an itinerary for a fabulous, exotic vacation with my equal-parenting near perfect partner). And then there’s reality! I’m a minivan-driving, suburban-dwelling, mother of three (soon four), working my tail off to continue to build, grow, and nurture™ my business, and crashing at the end of every day with my equally tired husband. Sadly, the last true vacation we had (read: without children for more than a one night getaway) was on our honeymoon, over ten years ago. If only I could spin in circles like Wonder Woman to go instantly from makeup-less fleecy lounge pants at school drop-off to dark-circles-covered polished professional, instead of “wasting” the precious time it really takes to accomplish that total transformation. I recognize and appreciate how very privileged we are to have all that we do, especially this of all weeks. I do my best to teach my children to recognize how lucky we all are too and to be empathetic and eager to help others whenever they can. Even on our hardest days, I wouldn’t change any of it. I never get the best of all worlds on any one given day, but I do get the best of all them some days and for me, that’s the kind of “balance” I guess I need. Relate to what Danielle is saying? Leave her some love in the comments. Read other posts from The Having It All Project here. Want to participate? Send me an email at havingitallproject@gmail.com! The last sentence -- I never get the best of all worlds on any one given day, but I do get the best of all them some days and for me, that’s the kind of “balance” I guess I need. -- sums up this great post for me. Thanks for sharing!